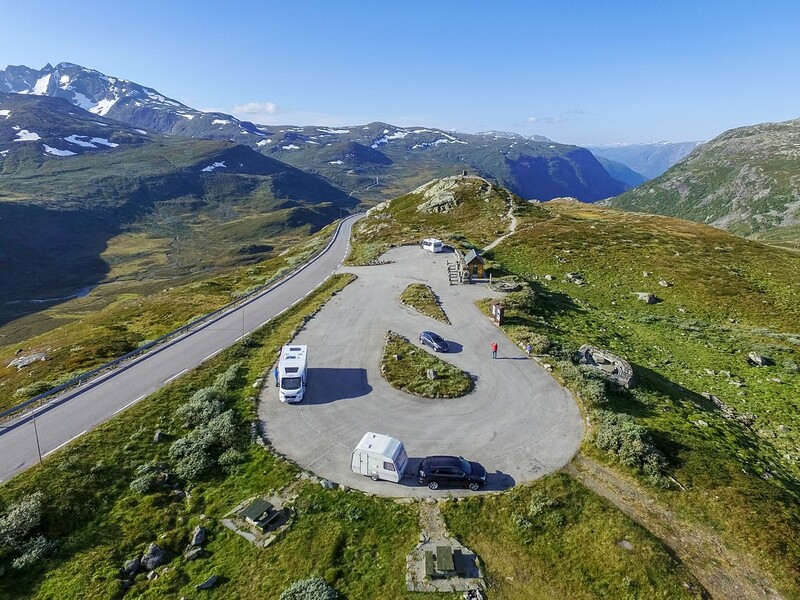 Our ‘Beautiful Norway’ tour along the Sognefjellet mountain road: A photographic journey through spectacular mountain scenery and contemporary landscape architecture. 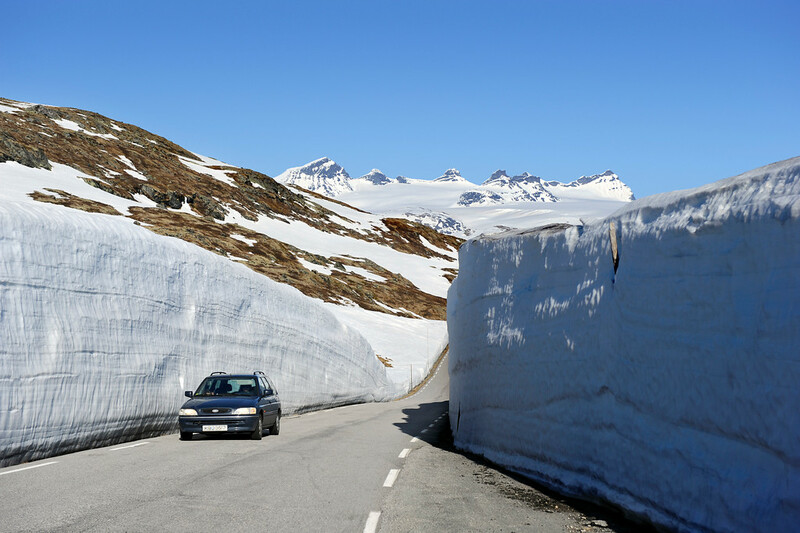 As promised, our unique and much awaited ‘Beautiful Norway’ tours begin this summer. 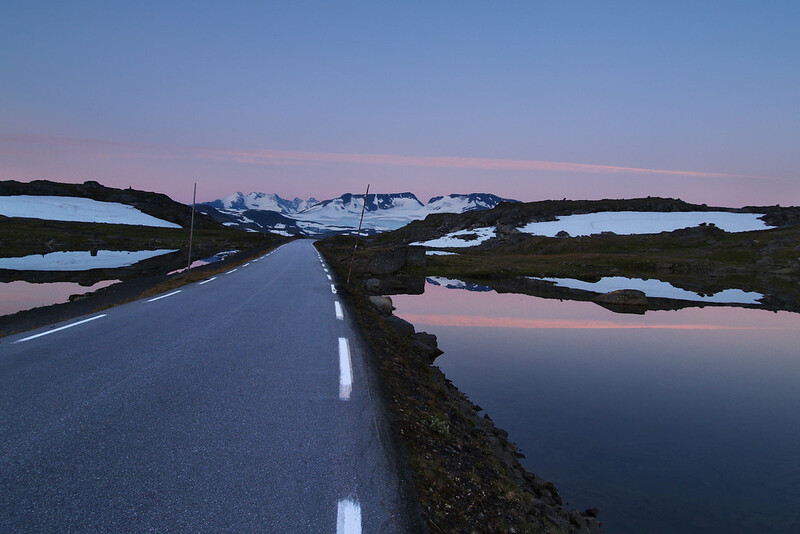 On Day 5 of this independent tour, our travellers journey along the National Tourist Route 55 across the Sognefjell mountain area between the small villages of Lom and Gaupne. 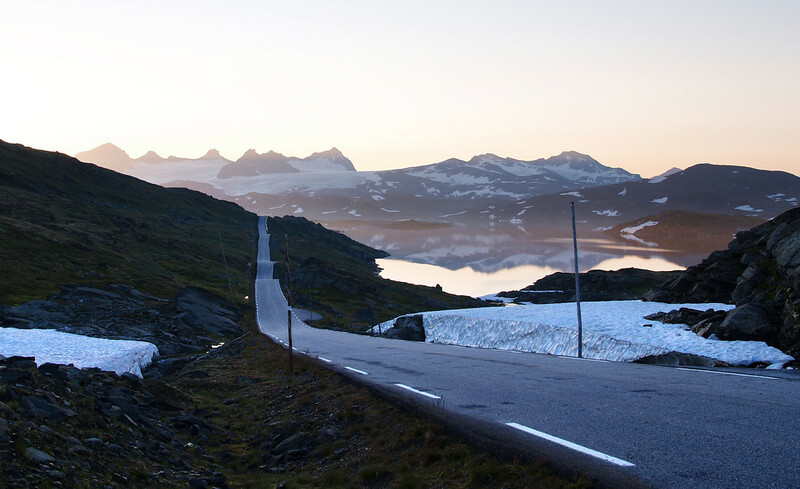 The route is the main gateway to the Jotunheimen National Park with the highest mountains in Norway. 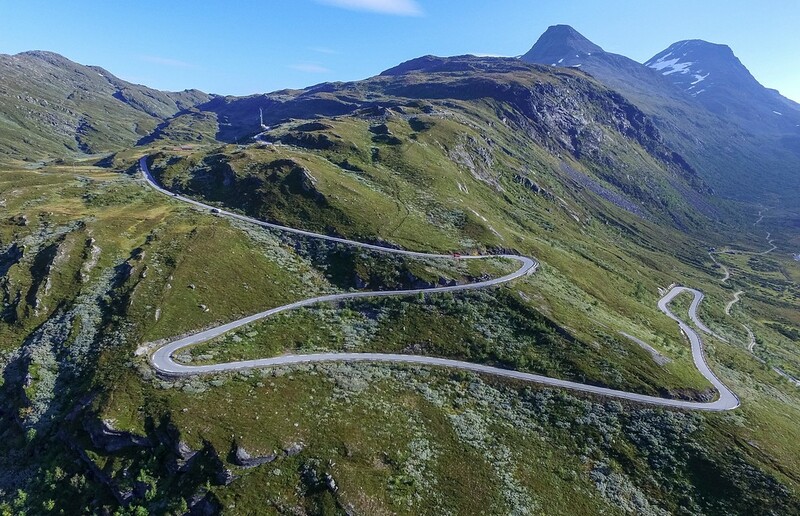 Indeed, this mountain pass is the highest and arguably the most striking one in all of Northern Europe, reaching up to 1434 metres above sea level. The many surprising attractions and artworks along the way have been designed to facilitate the experience of nature, indeed complementing the views with thoughtful contemporary design. Below we take a closer look at these attractions and artworks along the way. The first (optional) stop point after leaving Lom is the Liasanden rest area. Set in the pine forest of Leirdalen, Liasanden is an example of contemporary landscape architecture, where the designers have observed the nature, trees, and terrain and created a site that complements and draws from its surroundings. A small drive further up the road from Liasanden is the viewpoint of Vegaskjelet. 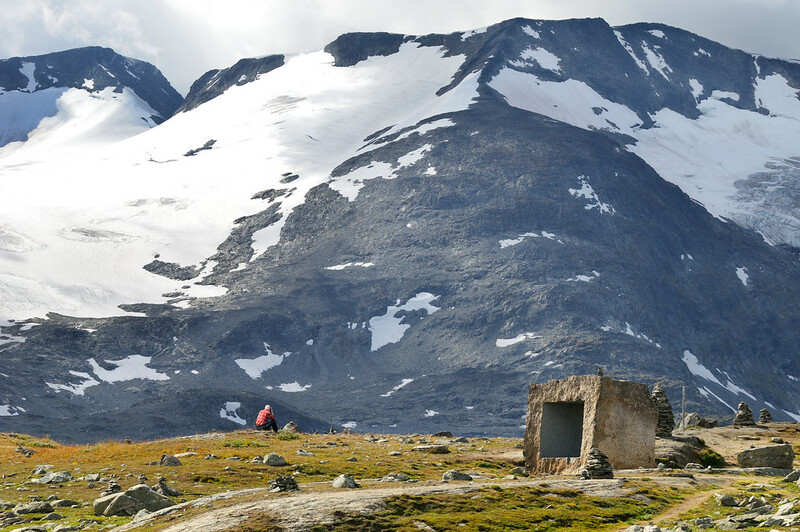 Its keyhole shaped viewing platform enters the valley, yet rises above the trees and the undergrowth, bringing forth a magnificent view of the 2000-metre peaks of Skarsnebb and Steinetind further ahead. Looking at the scenery, you can feel the excitement and anticipation growing. The mountains are calling you! 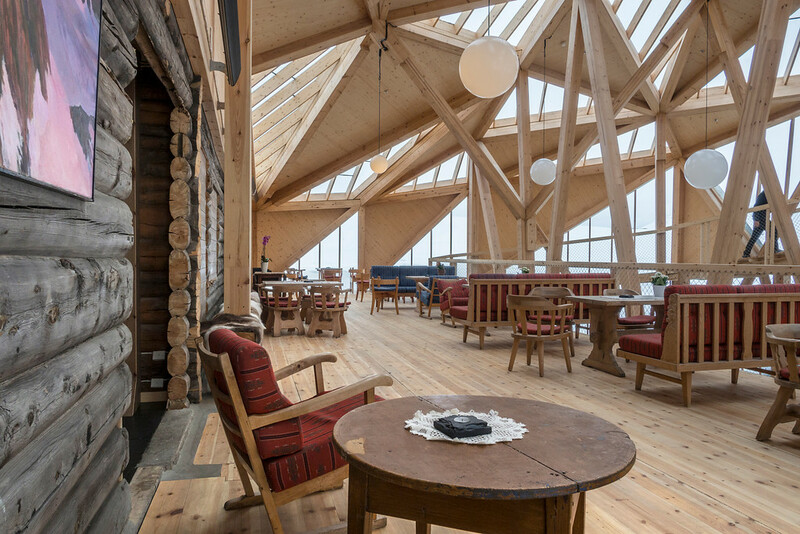 At the highest point along the route (at about 1400 metres above sea level) lies the Sognefjellshytta, another example of contemporary architecture that also facilitates and reinforces your experience of surrounding nature. Indeed, the lodge offers fantastic views towards the mountains on either side. Furthermore, the central common room is full of interesting details and the combination of glass and intersecting wood allows light to travel in all directions. The changing moods of weather and light at this high altitude are instantly reflected in the shades and feeling of the room. Rarely can you be so attuned to nature while still indoors. 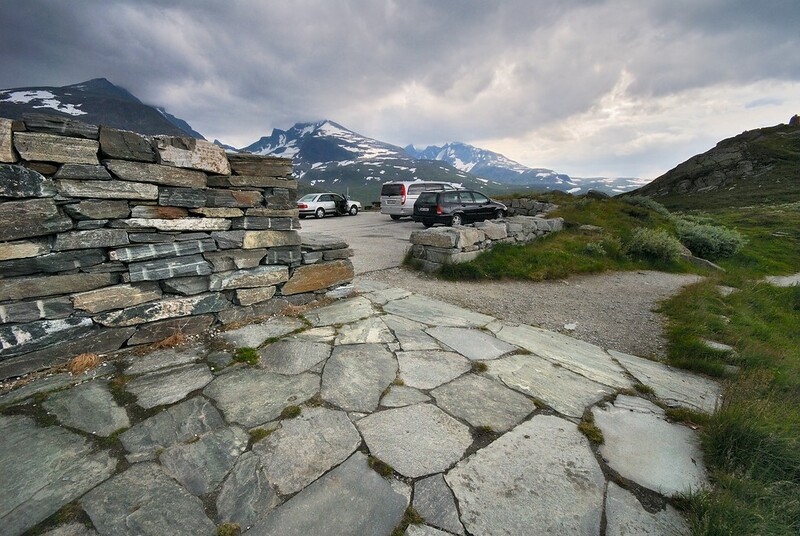 At the rest area at Mefjellet, you can again enjoy both majestic views over the mountains and an intriguing piece of contemporary design, this time the ‘cubist’ stone sculpture by artist Knut Wold. The natural stonewalls have been designed to be a type of large ‘nature gallery’, reinforcing the panoramic view and the feeling of nature’s grandeur. 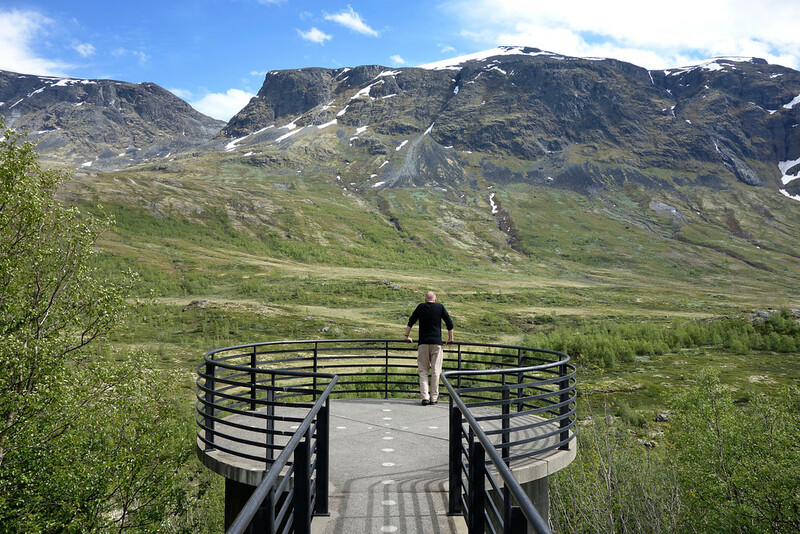 What an interesting and unusual way to gaze at the Fanaråken glacier and its surrounding peaks in the distance. 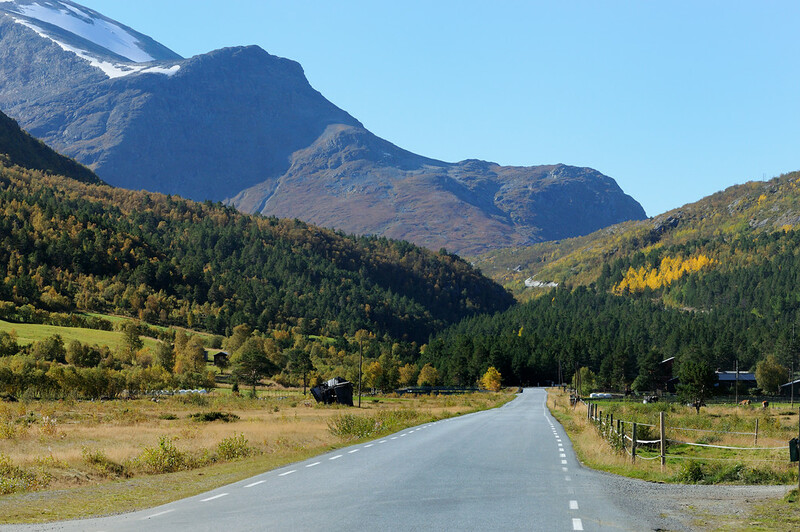 Nedre Oscarshaug is another fantastic viewing point along the road across the Sognefjellet mountains. It boasts a round viewing platform, complete with a glass telescope that shows the names of the peaks, thus giving an overview of the surrounding Hurrungane mountain range. 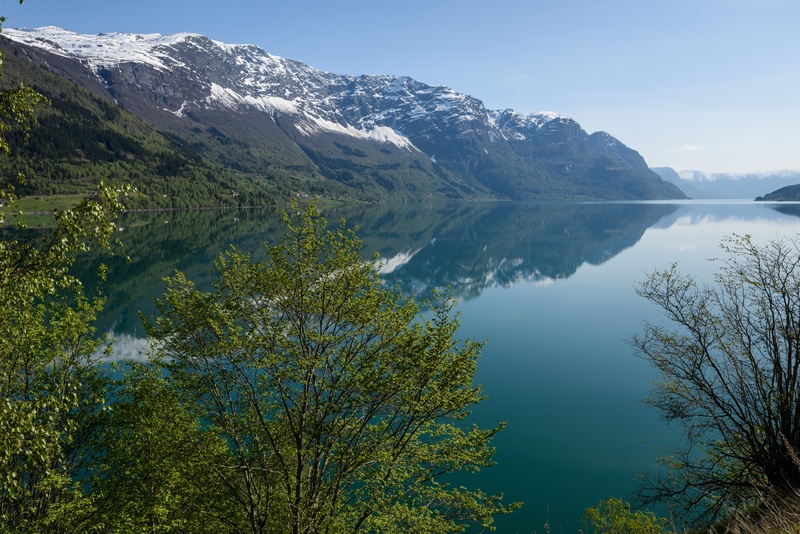 Upon leaving Nedre Oscarshaug behind, the landscape changes again and soon you will be descending down towards the beautiful Sognefjord. 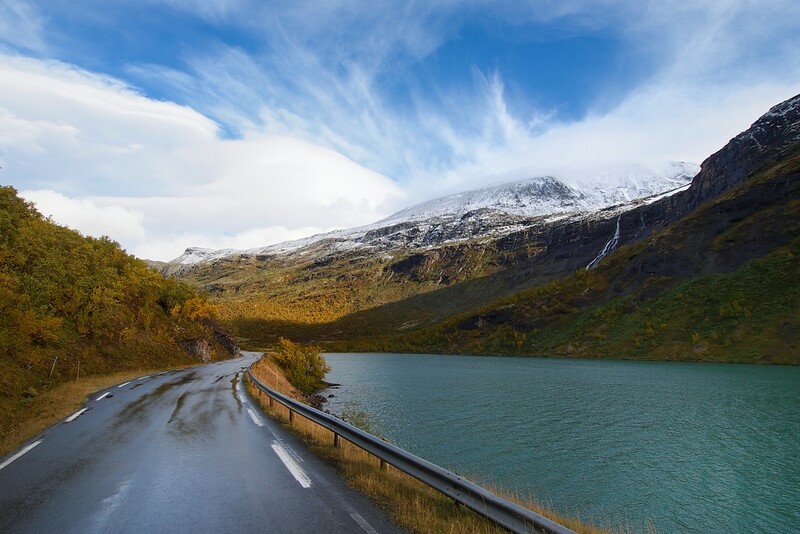 As you come down, enjoy Skjolden and the picturesque drive along the Lusterfjord and the amazing Feigumfossen Waterfall you can see across the fjord. We hope you enjoyed the journey! 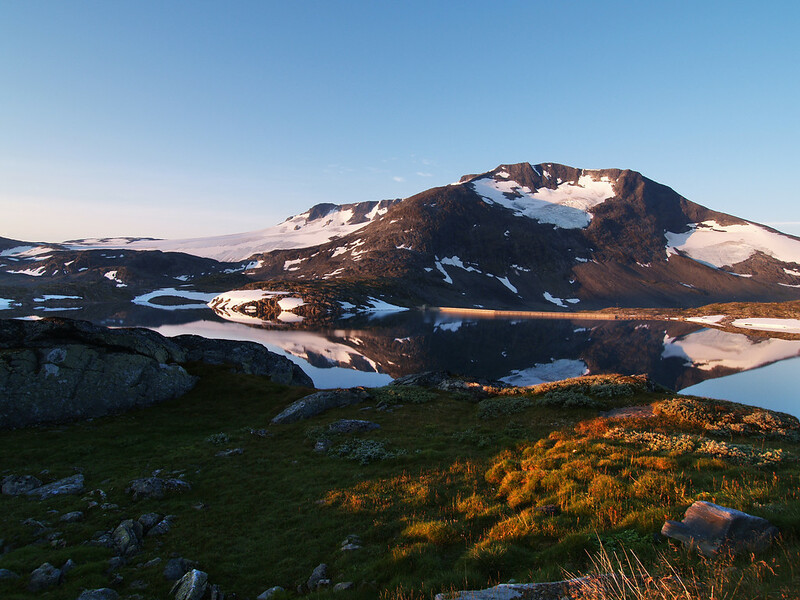 As Scandinavian destination specialists , our new 8-day Independent tour, ‘Beautiful Norway’ takes visitors to the heart of the destination’s iconic sites and experiences, with added value and attention to details. The special feature of this tour are the exclusive transfers aboard a private mini-bus, offering superior comfort and flexibility for impromptu food or photographic stops. 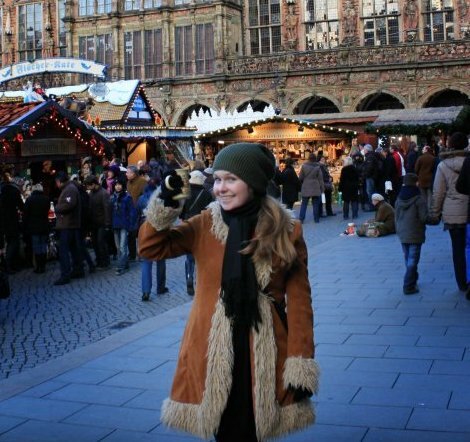 The tour also offers overnight stays in some of the country’s finest boutique hotels, in true and authentic Norwegian fashion. This tour runs from May until September, departing weekly.